I'm working on a form which has a pagination. The form is in a window. I'm not sure what to do with window's height. Should I change it regarding the form's height or keep it? I would keep the Window size. It reinforces the impression that the form belongs together. As the size changes, so does the position of the buttons, which can be annoying. Not the answer you're looking for? Browse other questions tagged forms popup or ask your own question. 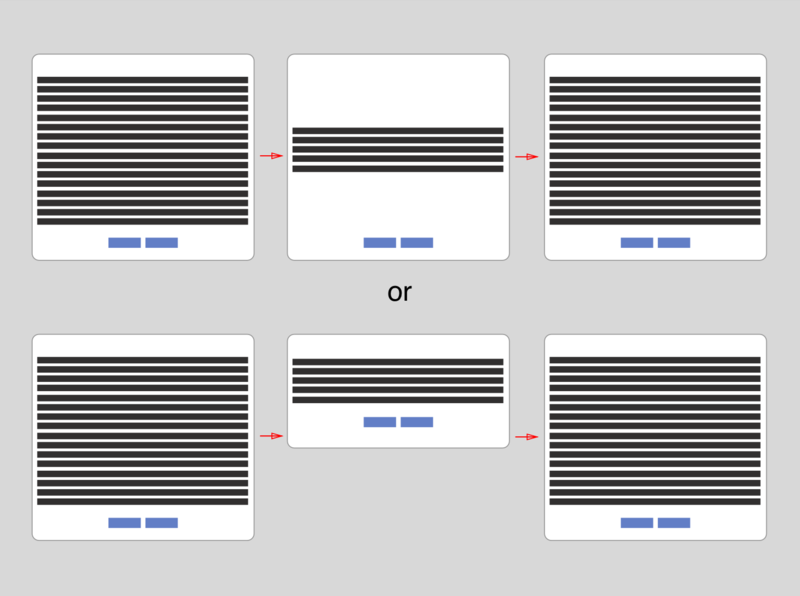 For a web radio website, should it play it in an external player or in an internal player? Is pagination appropriate for pages that are action oriented? What color for error messages for a form with a red background? Form window resize on tab change: good or bad? Should a confirmation-before-submitting page on a form contain all the information a user has entered?